PAPER-WEIGHTS," observed Patty, sucking an injured thumb, "were evidently not made for driving in tacks. I wish I had a hammer." 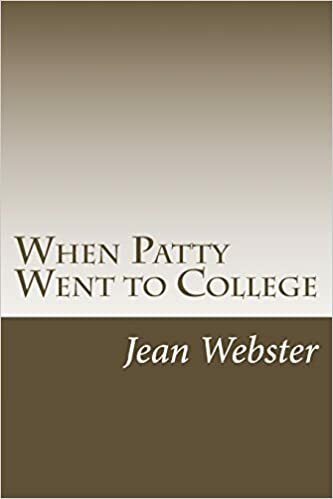 This remark called forth no response, and Patty peered down from the top of the step-ladder at her room-mate, who was sitting on the floor dragging sofa-pillows and curtains from a dry-goods box. "Priscilla," she begged, "you aren't doing anything useful. Go down and ask Peters for a hammer." Priscilla rose reluctantly. "I dare say fifty girls have already been after a hammer." added, with a laugh: "I have just run away from you, Bishop Copeley, and here you come following along behind like an accusing conscience." The bishop chuckled. "I've run away myself," he returned; "I knew I should have to be introduced to a hundred or so of you after service, so I just slipped out the back way for a quiet stroll." Patty eyed him appreciatively, with a new sense of fellow-feeling. "I should like to have run away from church as well," he confessed, with a twinkle in his eye.